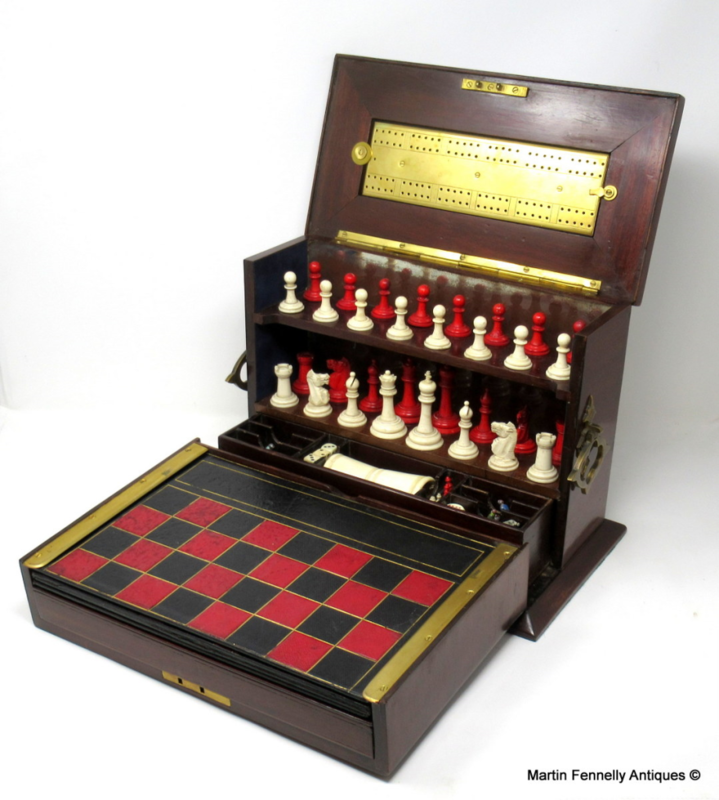 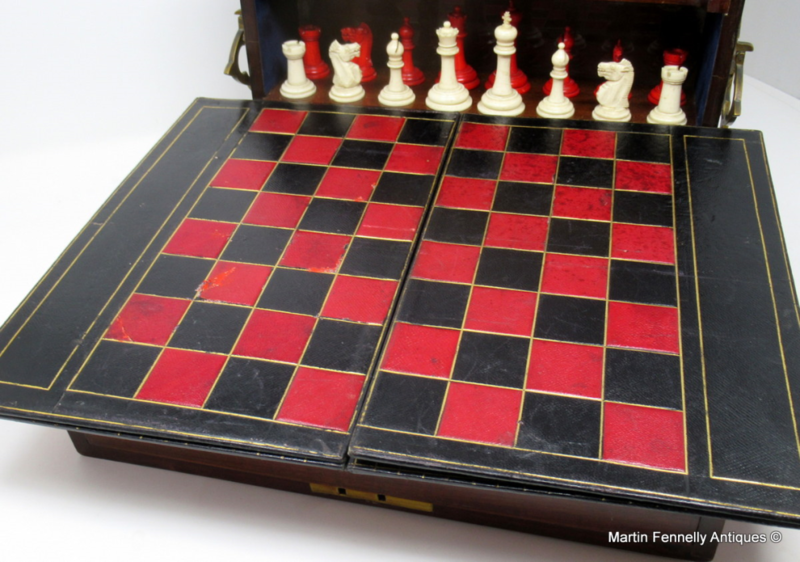 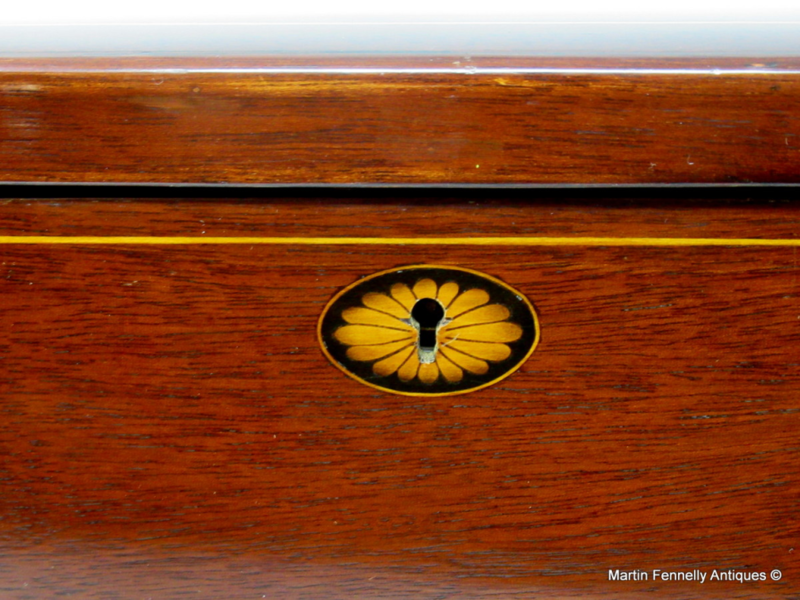 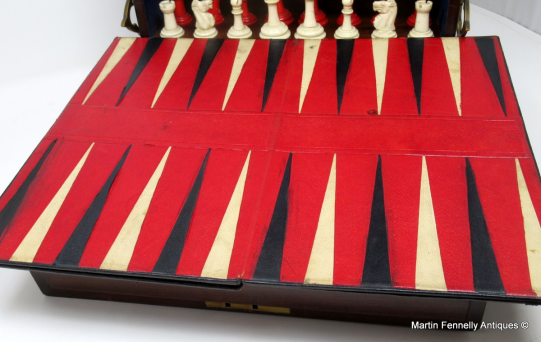 A Superb and Complete Victorian Games Compendium in Mahogany. 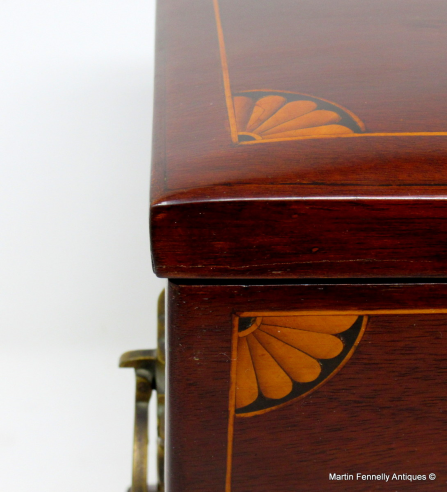 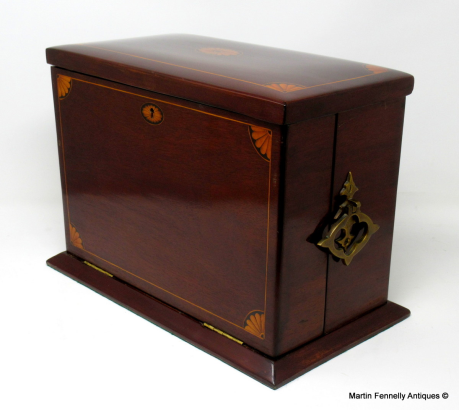 This Mahogany Domed topped Games Compendium dates to Circa 1900 and is truly a marvel, in great condition, beautiful fan design inlay and with original Gothic Brass Handles. 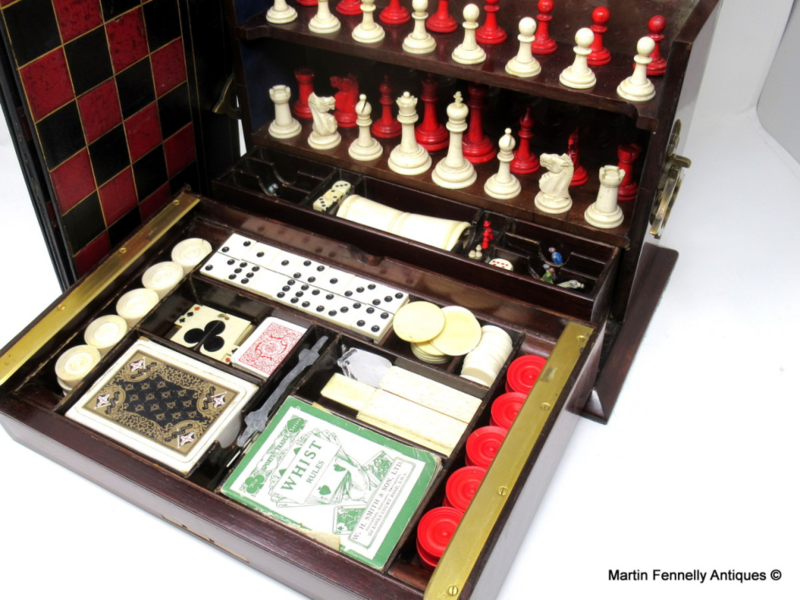 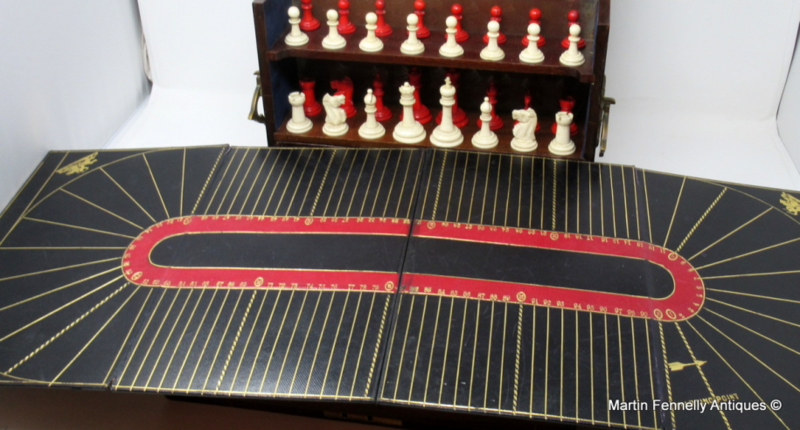 The lid lifts and the front drops down to reveal the contents which include a complete chess set housed on individual spikes, a brass cribbage score board with 6 turned makers, a set of turned draughts, a set of dominos, a set of six painted lead horses with jockeys, a folding games board with leather surfaces. On one side is a chess / draughts board, a backgammon board and when fully unfolded the reverse offers a race track for the horse game. 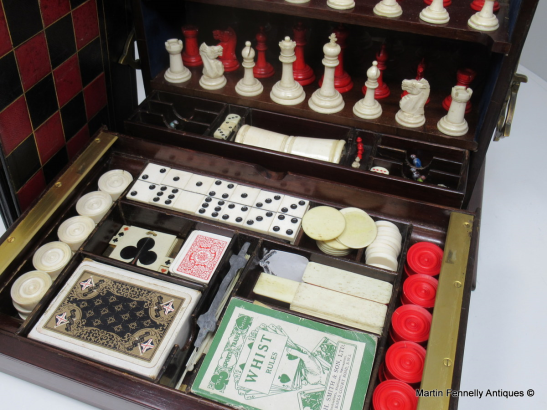 There are also 2 whist score markers and various counters. The original Card sets to include a miniature card deck are included. 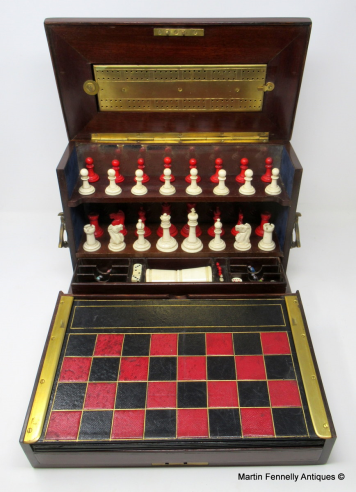 There are many more items and the entire contents appear to be present which is amazing after so many years.The original Lock and Key are also present and this Compendium is one of the most talked about items on Francis Street at present. 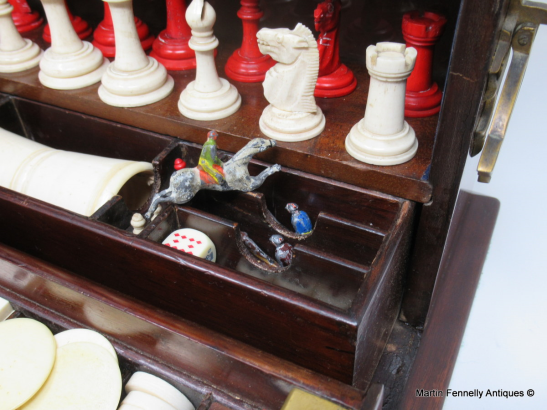 I was lucky to locate this in London at a very early hour at a Fair.